Are you facing wage garnishment or car repossession? Seeking bankruptcy relief? Sometimes bad things happen to good people. The loss of a job, an illness or injury to you or a family member that requires medical attention, a divorce, or other major life events, can turn almost anyone’s financial situation upside down. For the last several years, we have seen the cost of literally everything that we need skyrocket. Food, gas, energy costs, health care costs, consumer goods…all have gotten much more expensive. At the same time, our wages have largely stayed the same. It is no wonder that many people find themselves in a financial bind, unable to pay all of their bills, deciding which ones they can afford to pay and which ones they cannot. This can cause a considerable amount of stress, guilt, and the general feeling that your life is out of control. You want to pay your bills, but it seems hopeless. You are buried under a mountain of debt. RELAX!!! IT IS NOT YOUR FAULT!!! You have options. 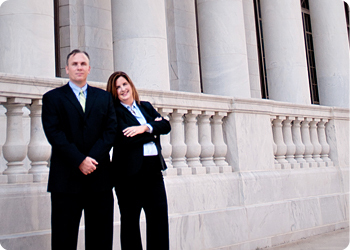 The Birmingham Bankruptcy Attorneys at Over the Mountain Law Center, LLC are here to help you. Call us today at (205) 870-8480 for a free initial consultation with one of our lawyers. At Over the Mountain Law Center, our attorneys answer the phones, so you will never have to speak with a secretary, paralegal, or staff member when you call. We will personally evaluate your financial situation and advise you of the debt relief options that are available. Sometimes bankruptcy may not be advisable, but often it is truly your only option. Either way, our attorneys will guide you through the process. At many of the large Birmingham Bankruptcy Firms, you will most likely be interviewed by support staff, secretaries, and paralegals, who will do most of the work on your case. You are lucky if you know which attorney is ultimately responsible for your file. At our firm, you will build a relationship with and establish trust and confidence in the attorney that is handling your case. You are not just an individual with a case number. You are a person with a legal problem, and we are here to help. Let your seemingly insurmountable mountain be OUR problem. We will get you Over the Mountain! Did you know that by filing bankruptcy, you can eliminate credit card debt, medical bills, judgments, some tax debt, and most consumer debt? By filing bankruptcy you can stop your creditors repossessing your car, retaking your furniture, garnishing your wages, sending you threatening letters, making harassing phone calls—in fact, you can stop them from taking almost any action against you or your property. Bankruptcy can also help you save your home from foreclosure. In fact, one of the most important functions of Chapter 13 Bankruptcy is to allow Debtors an opportunity to repay past-due mortgage payments over a 3 to 5 year period that they otherwise could not pay all at once. Bankruptcy can give you a realistic opportunity to save your home. Bankruptcy gets your creditors off your back and gives you some breathing room to sort out your financial affairs. It allows you to wipe the slate clean and start over. Bankruptcy gives you a Fresh Start! Review our Bankruptcy Frequently Asked Questions page for more information. Over the Mountain Law Center is conveniently located on the ground floor at 1903-A Oxmoor Road in Homewood, Alabama, just South of the Homewood Business District. (Get directions to our office). We have ample parking, and the office is along the Route 42 and Route 39 BJCTA Bus Routes. Contact us today at (205) 870-8480 and schedule your free initial consultation.